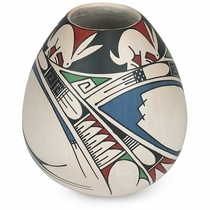 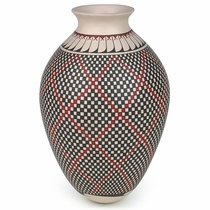 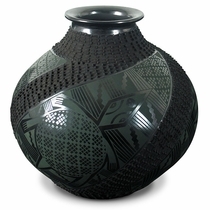 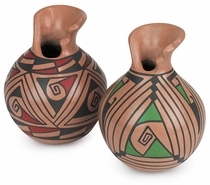 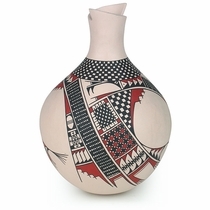 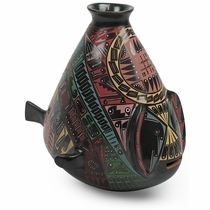 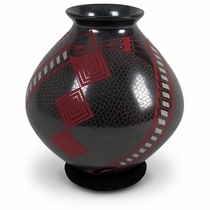 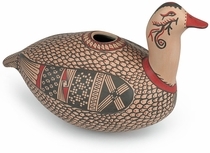 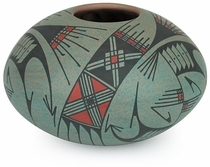 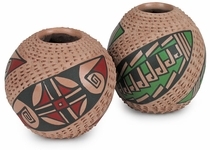 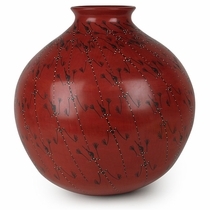 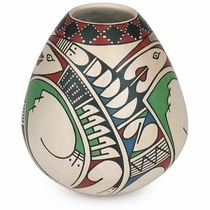 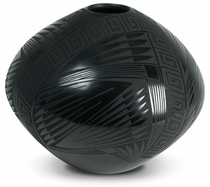 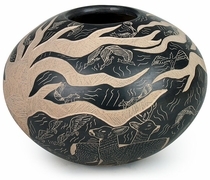 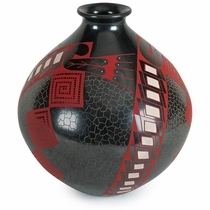 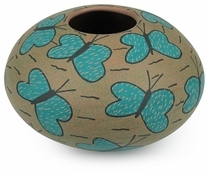 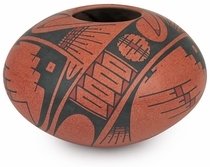 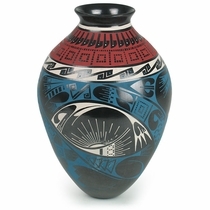 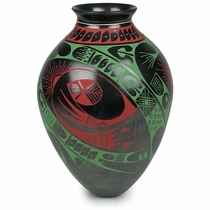 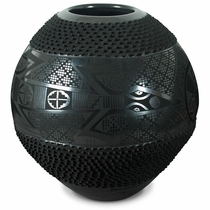 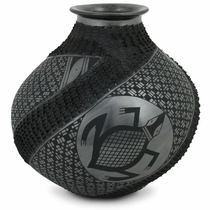 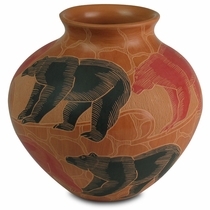 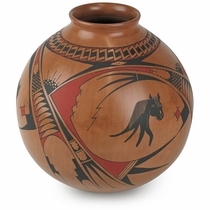 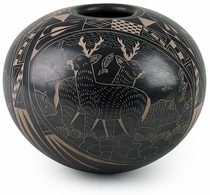 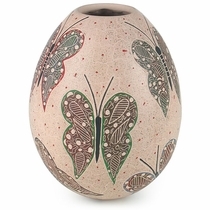 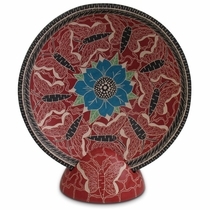 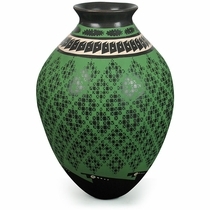 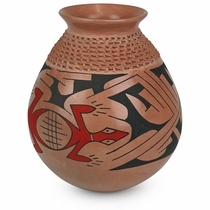 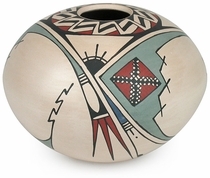 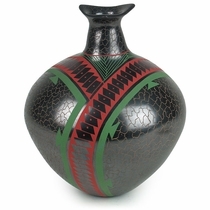 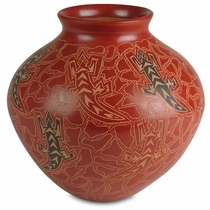 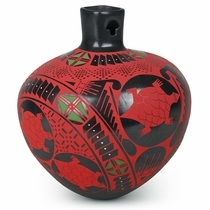 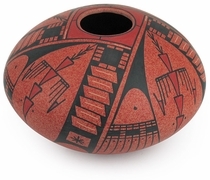 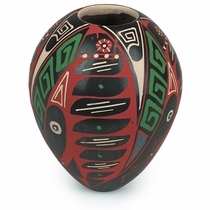 The unique style of Mata Ortiz pottery has been quietly gaining a strong following within the collector and fine art worlds. 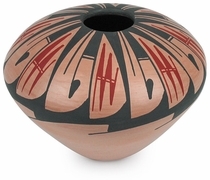 This pottery movement begun by Juan Quezada can best be described as modern interpretations of 12th century indigenous pottery. 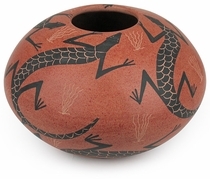 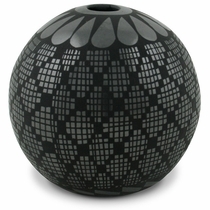 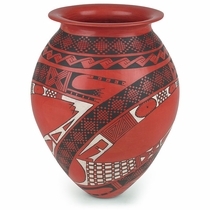 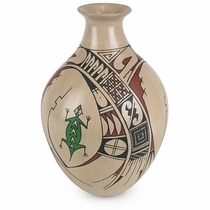 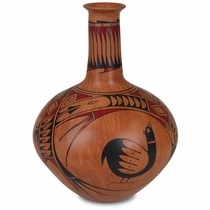 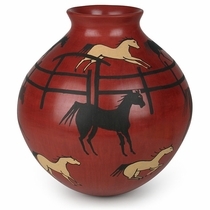 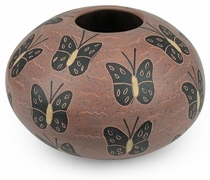 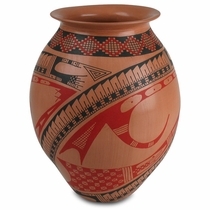 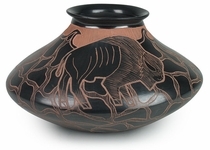 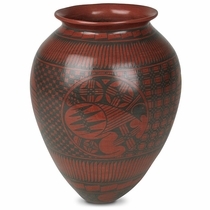 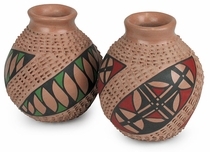 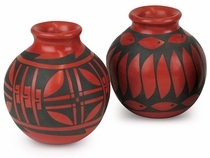 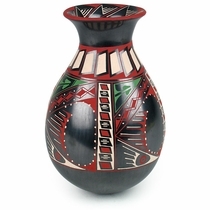 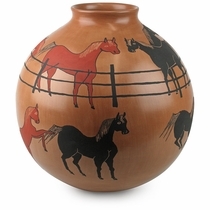 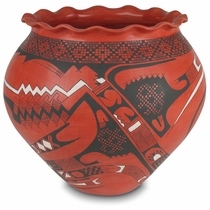 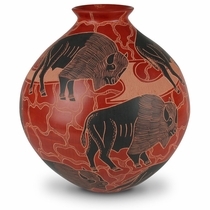 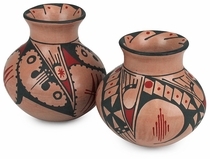 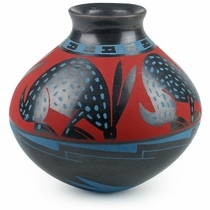 Mata Ortiz pottery is completely hand crafted. 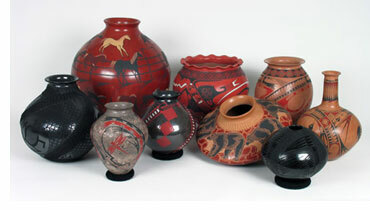 No pottery wheels or kilns are used. 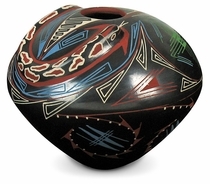 All materials including the color pigments are collected locally and created by the artists themselves and designs are painted using human hair brushes. 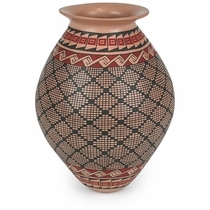 Direct from Mexico's artisan direct pricing allows us to offer you this exquisite collector quality pottery at an affordable price. 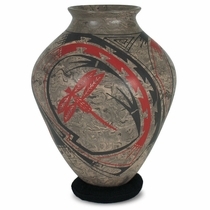 All pieces are signed by the artist. 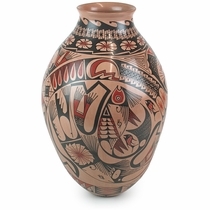 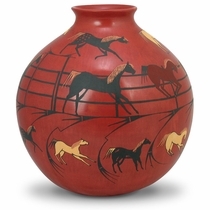 Click on the Mata Ortiz pottery art pieces below for details and ordering.